Look no further! 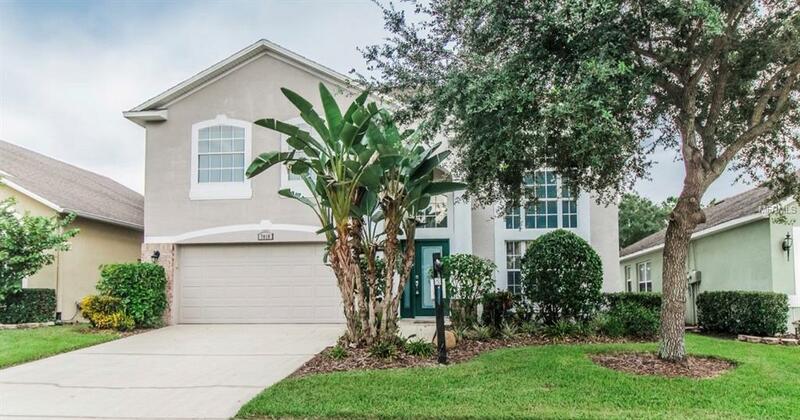 This absolutely gorgeous home in the sought after south Lakeland gated community of Eaglebrooke checks off every desire a family could want. As you enter the home an inviting large living room welcomes you with vaulted ceilings, wood flooring, and large windows that allow bright natural light to seep through. Entertaining your family and friends will be an effortless joy in the beautifully updated kitchen which boasts gorgeous countertops, tiled backsplash, stainless steel appliances, wood cabinets, and a breakfast bar that opens up to the spacious family room. Upstairs you will enjoy the privacy of the large master bedroom and tastefully updated master bathroom with a garden tub, walk-in shower, and vanity. Two additional bedrooms are located upstairs as well as a bathroom and entertainment area. Enjoy time with your family and friends by relaxing in the screened lanai, outdoor patio area or by simply visiting the community pool or tennis courts. If golf is your game, the award-winning Eaglebrooke golf course is sure to please! This home is perfect in every way. Don't hesitate, seller is motivated! !